Germany has been involved in motor racing since the earliest days of the sport, so it comes as no surprise that the country’s automakers have racked up a staggering number of victories over the past century or so. We’ve singled out ten of the greatest German race cars ever built, a task that was easier said than done. Think we missed one? Let us know in the comments section below. In 1979, Audi asked the Fédération Internationale du Sport Automobile (FISA) for permission to compete in international rally events with a four-wheel drive car. The request raised more than a few eyebrows because, at the time, most race cars used rear-wheel drive, but FISA ended up approving it nonetheless. At first, Audi’s all-wheel drive Quattro racer was remarkably close to the regular-production coupe on which it was based. However, the Quattro became increasingly powerful over the course of the 1980s and Audi introduced a short-wheelbase version of it in 1985 that was a lot more nimble to drive. 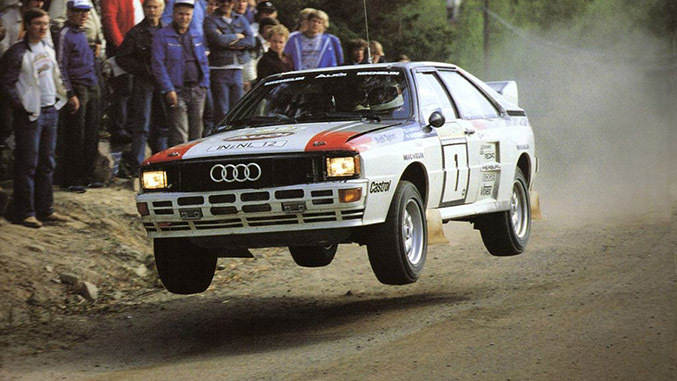 The Quattro regularly took first place in rally events during the 1980s but its development abruptly stopped when Group B was canceled at the end of the 1986 season. 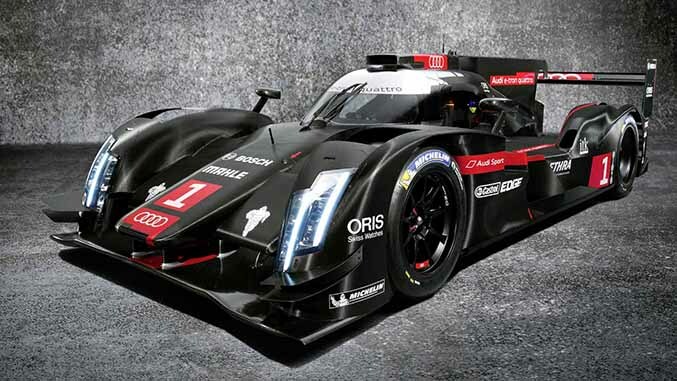 The Audi R18 is indisputably one of the most successful race cars of the 21st century. Introduced in 2011 as the R18 TDI, the car featured an innovative turbodiesel engine that generated over 530 horsepower thanks to features like a hot inside V.
The R18 TDI evolved into the R18 ultra in 2012 and into the R18 e-tron quattro in 2013. Still raced today, the latter car packs an advanced diesel-electric hybrid drivetrain made up of a flywheel accumulator system, two generators that drive the front wheels and a potent turbodiesel engine. The high-tech R18 has taken first place in the 24 Hours of Le Mans’ LMP1 class every year since its debut in 2011. Perhaps inspired by the success of the 2002, BMW decided to hit the track with the bigger 3.0CS coupe in 1972. Called 3.0CSL, the track-spec model weighed less than its regular-production counterpart thanks to thinner steel, the complete absence of soundproofing material and body panels made out of aluminum alloy. Later versions of the car were affectionately nicknamed Batmobile because they were sold with an aggressive body kit that produced additional downforce at high speeds. 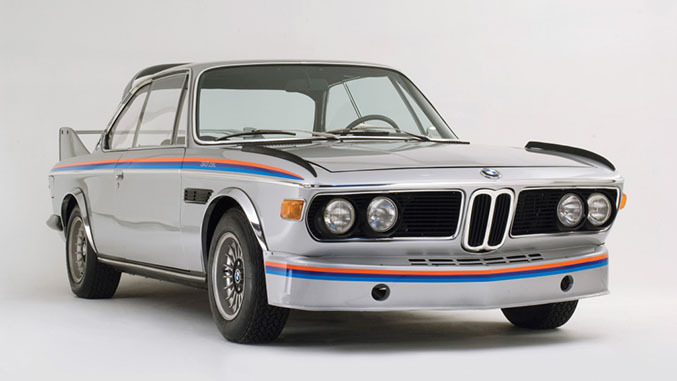 The 3.0CSL took first place in the European Touring Car Championship in 1973 and again every year between 1975 and 1979, cementing BMW’s spot as a premium automaker capable of holding its own both on and off the track. BMW’s M division created the original E30-based M3 by shoe-horning a powerful engine in a small, lightweight body, the same time-tested recipe used by a long list of automakers over the years. Private teams immediately saw the M3’s potential and they wasted no time in turning the sports sedan into a full-blown track monster. Over the course of its career, the E30 M3 participated in the World Touring Car Championship, the German, British, French, Italian and Australian Touring Car Championships as well as several World Rally Championship events in the late 1980s. To date, it remains one of the most successful race cars that BMW has ever built and the M3 that has logged the most track time. 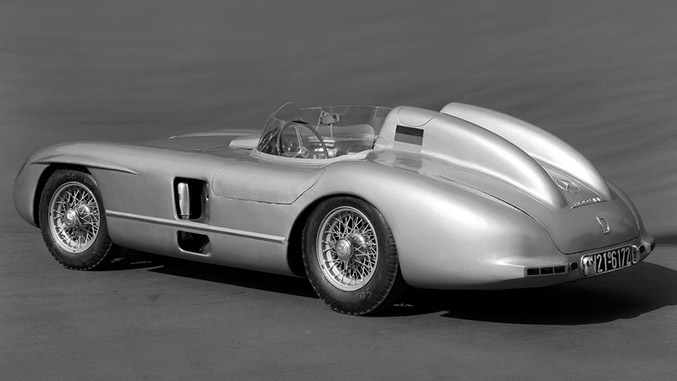 Although it looked like the iconic Gullwing-bodied 300 SL, the Mercedes-Benz 300 SLR was essentially a full-blown Formula One car fitted with a sleek coupe body. Power came from a 3.0-liter evolution of the w196’s fuel-injected 2.5-liter straight-eight engine that was tuned to generate 310 horsepower. Driven by renowned pilots such as Stirling Moss and Juan Manuel Fangio, the 300 SLR got off to a highly successful start and it took first place in challenging events like the Mille Miglia and the Targa Florio. However, it was prematurely pushed into retirement when Mercedes canceled its racing program altogether after a disastrous accident that took place during the 1955 24 Hours of Le Mans. In the early 1970s, a small German tuner named AMG ambitiously decided to build a heavily-modified Mercedes-Benz 300 SEL capable of beating much smaller cars like the Alfa Romeo GTA and the Ford Capri around a race track. In the days when the term “S65” was little more than a zip code in England, many believed that AMG’s goal was insane and impossible to reach. AMG fitted the behemoth with a 450-horsepower 6.8-liter V8 engine derived from the 6.3-liter eight-cylinder that powered the 600 limousine, added beefier brakes and a revised suspension system. 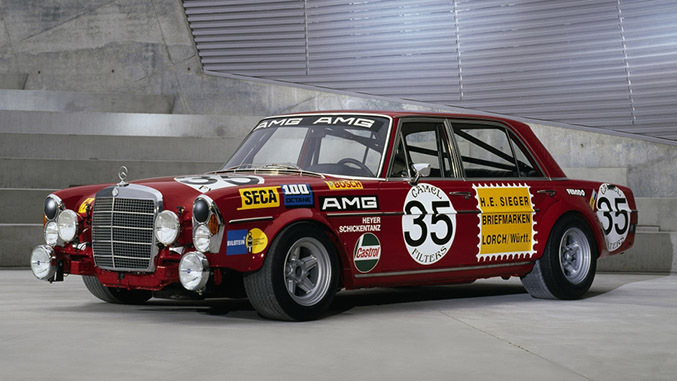 Immediately nicknamed Red Pig, the 300 SEL participated in the 1971 24 Hours of Spa. It had to make pit stops often because it burned an alarming amount of gasoline and it went through several sets of tires due to its freighter-like weight but it nonetheless managed to take second place in the event. The Opel Ascona B 400 was one of the few rally cars that could keep up with the aforementioned Audi Quattro in the early 1980s. Loosely based on the second-gen Ascona, the racer was powered by a 2.4-liter four-cylinder engine that sent over 240 horsepower to the rear wheels only. The Ascona B 400 took first place in the International Swedish Rally, the Monte-Carlo Rally, the Rally Cote d’Ivoire and the Marlboro Safari Rally. 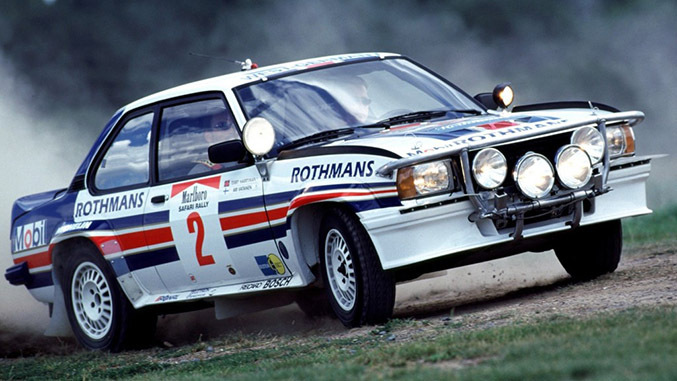 Additionally, Walter Röhrl won the coveted World Rally Championship driver’s title in 1982 behind the wheel of an Ascona, marking the last time a rear-wheel drive car has ever captured the title. 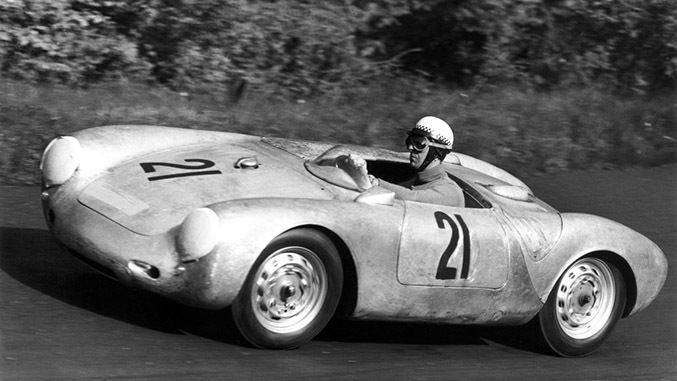 Aimed largely at privateer racers, the Porsche 550 Spyder was powered by a 1.5-liter air-cooled flat-four engine that made 110 horsepower in its initial state of tune. That’s not a whole lot on paper but it was an impressive statistic for the time, especially considering that the Spyder weighed a little over 1,500 pounds. The convertible’s stunning power-to-weight ratio allowed it to beat much bigger rivals with ease. Early on in its racing career, the 550 mostly competed in small and medium-sized events held in Europe. However, it quickly moved up to international events, and it made headlines when it took first place in the 1956 edition of the Targa Florio, giving Porsche its first-ever win in a major motorsport event. 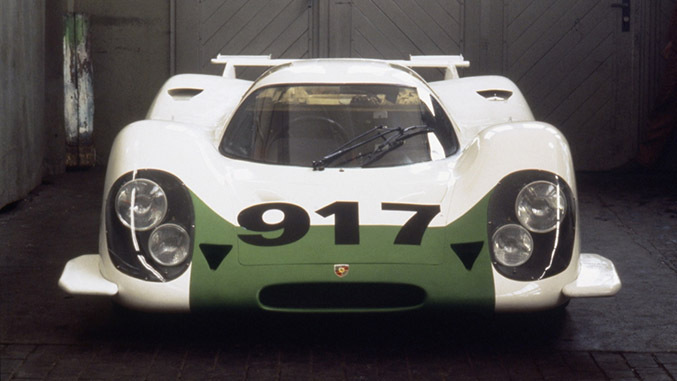 The 917 was designed to compete in a new category of the FIA’s World Sportscar Championship. Built largely out of lightweight materials like fiberglass and aluminum, the racer was initially powered by a 4.5-liter flat-12 engine that made 520 horsepower. The early cars were notoriously difficult to control at high speeds and many pilots simply refused to drive them. Porsche ironed out the kinks in time for the 1970 season and the 917 turned into one of the most successful race cars ever built in Stuttgart, allowing Porsche to capture first place in the International Championship for Makes in 1970 and 1971. Its European career was cut short by the FIA, but it continued to race in the Canadian-American Challenge Cup (Can-Am) well into the 1970s. By the 1980s, everyone in the auto industry knew that Porsche was a force to be reckoned with on the track. Eager to take on a new challenge, the company surprised its rivals when it announced plans to participate in the Paris – Dakar with a 911. Porsche was no stranger to rallying, the company’s cars had successfully competed in events like the Monte-Carlo Rally for decades, but the Paris – Dakar was a grueling event even for purpose-built off-roaders like the Land Rover Range Rover. Porsche prepared for the event by building a heavily-modified 911 fitted with a 300-horsepower flat-six engine, a noticeably raised suspension, high-profile tires and an experimental four-wheel drive system that accurately previewed the technology that would be introduced on the 959 the following year. 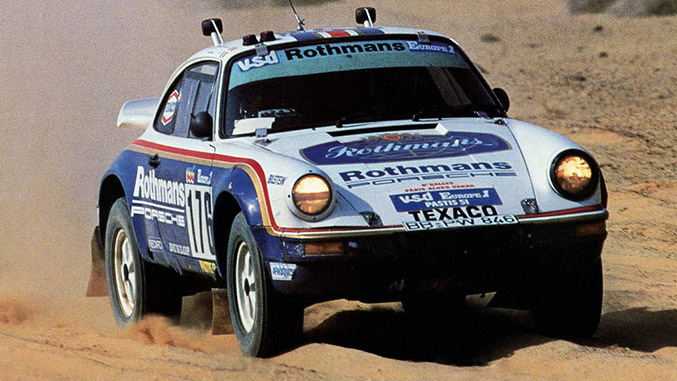 The 953 took first place in the 1984 Paris – Dakar. Its success was short-lived, and it was replaced by the 959 the following year.